Your need-to-know information on bulk sea glass - The size, color, availability; genuine or imitation. Be sure to read all of this guide before purchasing your sea glass in bulk. 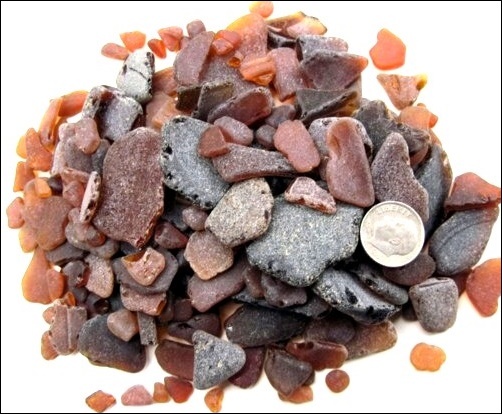 What Can Bulk Sea or Beach Glass be Used For? Sea glass in bulk has many uses. However, most people who purchase large quantities of sea glass will likely be using it for mosaic projects. Any other colors offered in bulk are likely to be fake sea glass. Why? It is very rare to find even two pieces near each other on a beach that are the same color, much less size, color, and shape. Finding real sea glass in bulk is going to be very difficult, especially if you need a quantity of a less common color, ie, turquoise or blue. The exception might be where the glass is very small and craft grade (mosaic grade). 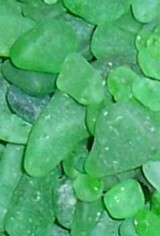 Genuine bulk sea glass will look like the photo above. Although this glass is brown, other colors should have the same look if they are not fake sea glass. Of course, there is nothing wrong with purchasing fake sea glass as long as you are aware that it is not real. What Do I Need to Know When Buying Bulk Beach Glass? When buying bulk sea glass, it will be difficult to buy a group or lot of sea glass that is the same color and shape. Bulk sea glass will usually come in sized lots; that is, the pieces will be similar in size (though not necessarily in shape). Less than dime size (17 mm) = Small. Between dime and quarter size (17-24 mm) = Medium. Larger than a quarter (24 mm) = Large. However, different sellers have different ways of stating the size of the sea glass in each lot. All serious sellers, though, will give you a clear idea of the size you will be purchasing. Bulk sea glass can be sold by weight or number of pieces or both. I don't believe I have ever seen it sold by the square inches that it will cover (similar to floor tile or paint), but that might not be a bad idea for those who are using the sea glass for mosaics. 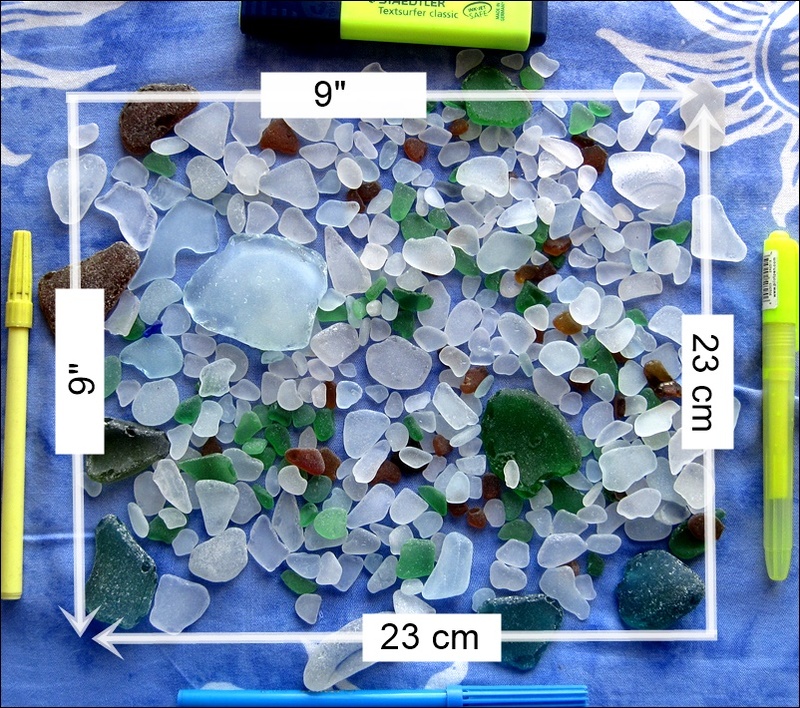 The photo below shows that 1 pound of sea glass covers approximately 9 square inches. That gives an idea of how much bulk sea glass you need for your mosaic or other purposes. The more details listed as to the size of the batch or lot, the better. You need to have a clear idea of the actual quantity you will be getting before buying sea glass in bulk. You need to know if what you are purchasing is as much as you need for your project or not.